Obituary for James "Mick" Ronald Couchenour | Williams Funeral Home, P.A. 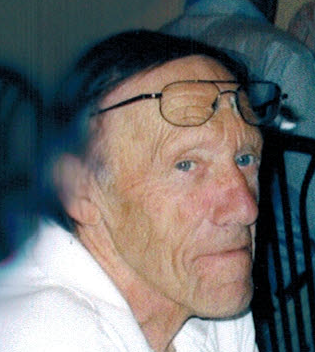 James (Mick) Ronald Couchenour (84), of White Plains, MD, passed away peacefully at Georgetown University Hospital on Thursday, January 24, 2019. Born October 15, 1934, Mick served in the U.S. Army and was stationed in Korea. He owned Mick's Quail Inn, a well-known restaurant in Southern Maryland for over three decades. What began as a small food service idea in 1960, quickly expanded and culminated into a popular “all you can eat seafood buffet” and community gathering spot. Mick's Quail Inn developed a reputation for being one of the best buffets in the tri-state area. In the mid-90s Mick decided to sell his restaurant and pursue other opportunities. He began marketing his soups, particularly his most popular brand, Mick's Cream of Crab Soup, to local markets, delis, grocery stores and Sam’s Clubs. In January 2010, Mick retired to pursue other adventures. Mick was an avid hunter, fisher and golfer. In conjunction with his hunting skills, he subsequently became known for his infamous Wild Game Dinners. Mick was renowned in his early years, for perfecting a method to beat the “original” non-computerized, manual slot machines, not only in the State of Maryland but throughout the country. Mick is preceded in death by his parents George W. Couchenour, Lillian Couchenour Mack and Arthur Mack, and two brothers, Darrell and Dale Couchenour. He is survived by his two brothers and sister, Leslie Couchenour (wife Diane) of Pisgah, MD, Lee Couchenour (wife Lana) of Charles Town, WV and Nancy Speake (husband Robert) of Marbury, MD. He also leaves behind a close nephew, Jack Hicks, close friend, Karen Berry and many other nephews, nieces and loved ones. The family will receive friends on Wednesday, January 30, 2019 from 2:00 PM until time of service at 4:00 PM at the funeral home. Friends and family will gather at 4:30 PM at the Potomac Heights Fire Department to celebrate Mick's life. In lieu of flowers donations can be made to St. Jude Children’s Hospital.